For oily scalp & dehydrated, tangled ends. 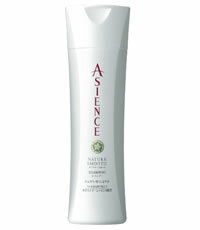 Scalp feels light & refreshed while hair is soft, smooth and tangle-free. Sweat, humidity and excess sebum from scalp leave hair limp at the crown and tangled at the ends. – Hydrating formula provides light moisture from root to tip without oiliness. This entry was posted in 1 and tagged ASIENCE NATURE SMOOTH SHAMPOO & CONDITIONER, Fr3b Singapore's 1st Sampling Concept Store, Fr3b Singapore’s 1st Sampling Concept Store, Fr3b.com, free beauty samples, freebies, hair care, S'pores 1st Sampling Concept Store, www.fr3b.com. Bookmark the permalink.